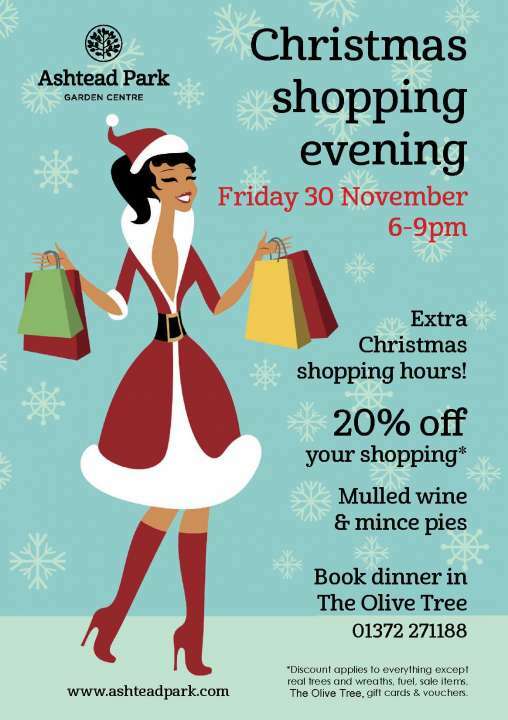 For one night only, join us for an evening of Christmas shopping and mulled wine supping, with 20% off your purchases! Exclusions apply. Choose from our magical Christmas decorations, lights, gifts and gardening goodies. The fabulous Natural Voices Choir will be singing in the start of the evening too - the perfect start to the festive season! Discount excludes: real trees & wreaths, fuel, sale items, gift cards & vouchers and The Olive Tree. Grotto tickets are also excluded at the profits will go to charity.